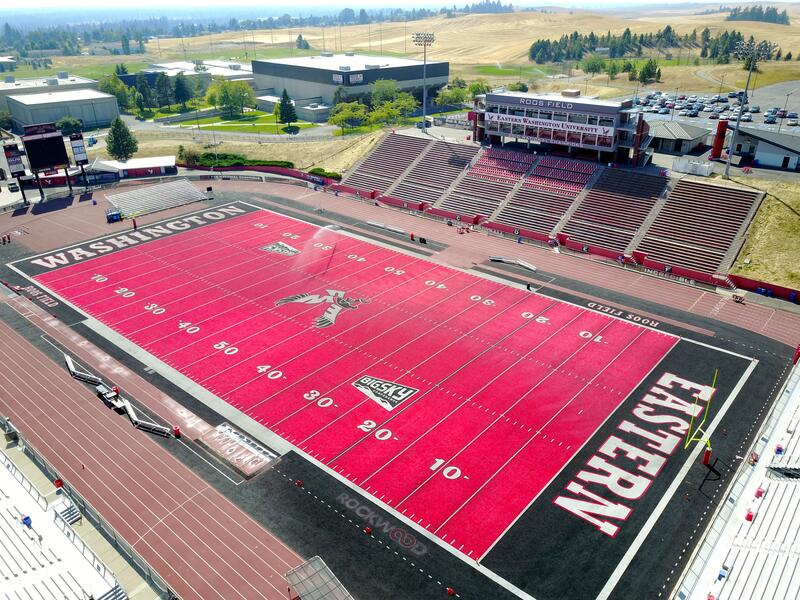 UPDATED: Tue., Feb. 13, 2018, 6:36 p.m.
For those following Eastern Washington’s search for a new athletic director, it’s already been an intriguing week. While the search committee is moving into high gear with a trio of public meetings, interim AD Lynn Hickey – who might or might not be a candidate for the permanent position – is doing the same. Hickey’s first two days in Cheney were filled with meetings – so many of them that her Tuesday lunch consisted of a protein bar she snagged at a campus store. She probably won’t get one any time soon. On the agenda this week – besides more meetings – is the pressing issue of this fall’s football schedule. Despite the efforts of former AD Bill Chaves, an open date on Sept. 1 has yet to be filled. Fans are hoping for a home date, which would give the Eagles five at Roos Field. Hickey was hopeful but couldn’t make any promises. “That would be a priority for me. … It’s very important for the program not to go on the road again,” Hickey said. Hickey, the AD at Texas-San Antonio for 18 years before stepping down last fall, said she’s impressed by the “good foundation” of the department. Hickey also said she’s impressed by the department’s on-field success. “There’s a lot to be proud of,” she said. Hickey, who was appointed interim AD on Jan. 26 by university president Mary Cullinan, said she understands the nature of the position and doesn’t plan to overstep. Asked whether she would consider being part of that future, Hickey hedged. The application deadline for the full-time position is April 2. Published: Feb. 13, 2018, 5:40 p.m. Updated: Feb. 13, 2018, 6:36 p.m.